Economical protection from biting and bloodsucking flies, gnats and mosquitoes. 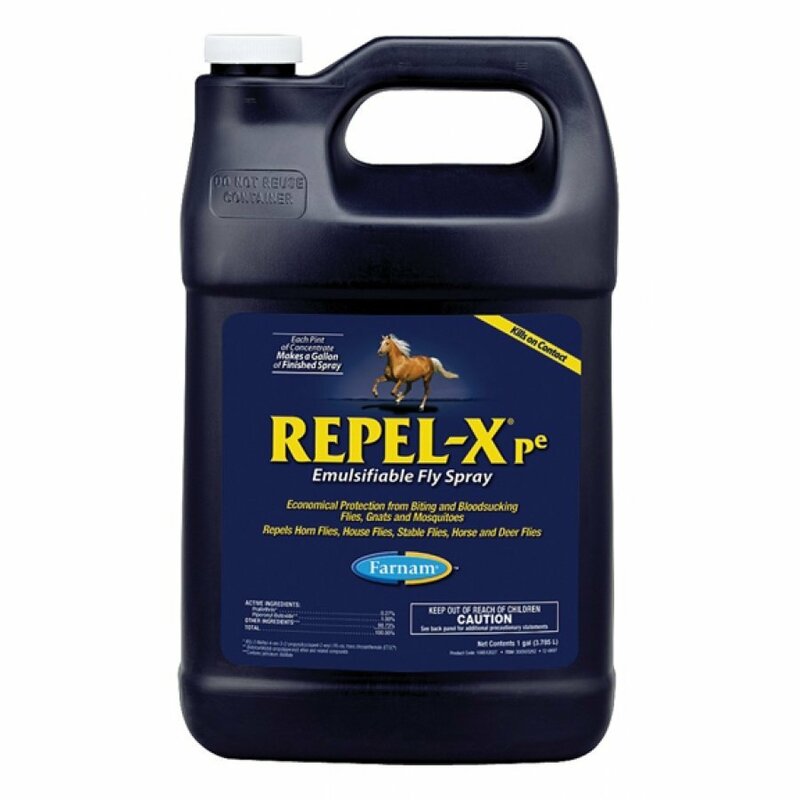 Repels horn flies, house flies, stable flies, horse and deer flies. Kills on contact. Each pint of concentrate makes a gallon of finished spray. 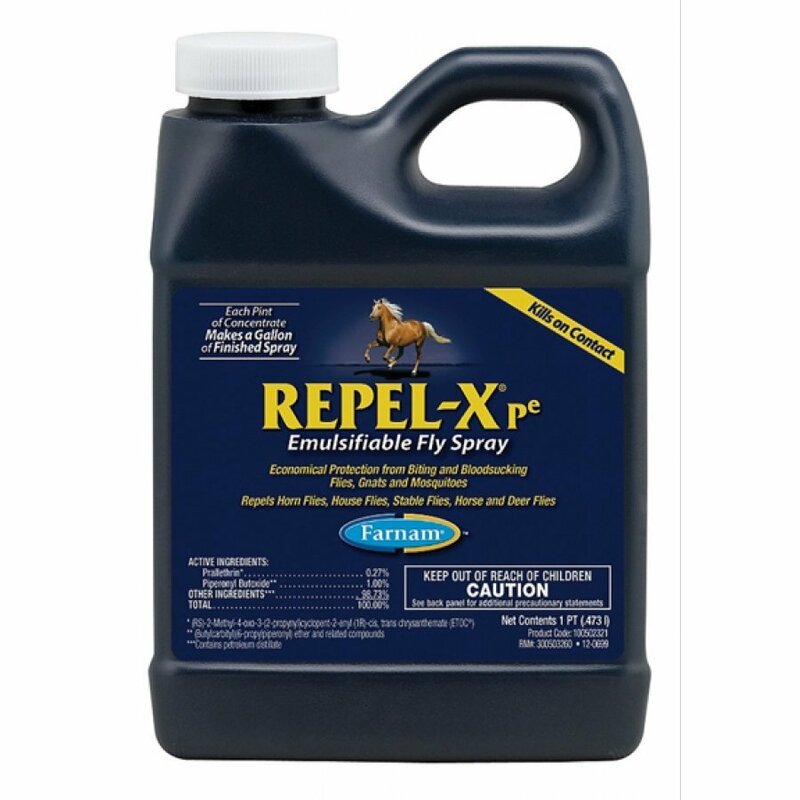 Repel-x Pe Emulsifiable Fly Spray Concentrate has different options and/or variations, please choose below. Economical protection from biting and bloodsucking flies, gnats and mosquitoes. 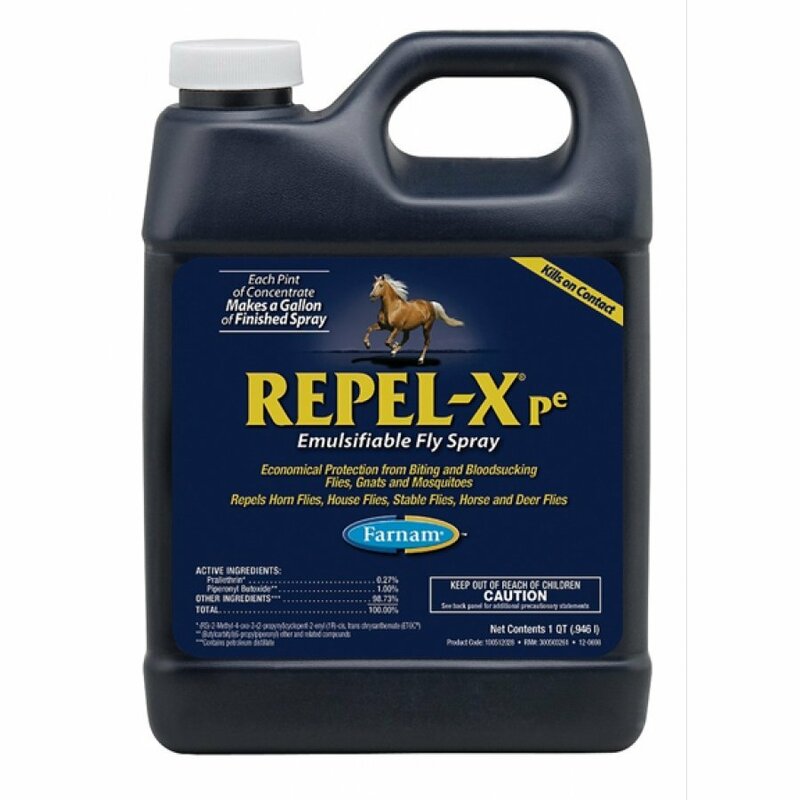 Repels horn flies, house flies, stable flies, horse and deer flies. Each pint of concentrate makes a gallon of finished spray. Ingredients: Active Ingredients: Prallethrin 0.27%, And Piperonyl Butoxide 1.00%. Made in the usaActive Ingredients: Prallethrin 0.27%, And Piperonyl Butoxide 1.00%.